“Following the Bundestag resolution, the European Commission has also called on the two countries [Armenia and Turkey] to pursue reconciliation, and this call is mainly directed to Turkey. But I don’t think that Turkey will take steps in that direction,” he said, explaining that Turkey conditions normalization of relations with Armenia by the Karabakh issue. 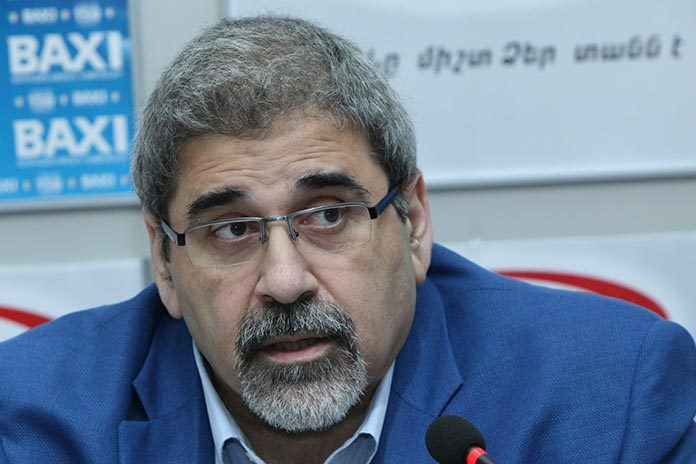 Manoyan also thinks that the recognition of the Armenian Genocide in Germany will not be followed by another law criminalizing its denial. “Before we can expect such an initiative in Germany we should wait and see what happens to a similar resolution in France. Besides, it may contradict some of the freedom of speech provisions in Germany. So, one should not have high expectations in this matter,” he said. The ARF representative believes that despite Turkey’s furious response, like in the case with other countries and other resolutions on the Armenian Genocide, Ankara’s relations with Berlin will continue the way they were before. In the wake of the resolution in the Bundestag Turkey recalled its ambassador from Berlin “for consultations” and President Recep Tayyip Erdogan warned that the move would “seriously affect” bilateral ties. Meanwhile, Armenian President Serzh Sargsyan thanked the German leadership for the step, describing the resolution passed by German lawmakers as a historical step.